Jack Lauritzen, a long-time Seattle resident and master hair stylist, passed away peacefully in his sleep on October 1st 2016 in Des Moines WA. He was 88 Years old. Jack was born on December 6th 1928, to Geneva Mangino and Ernest “Duke” Lauritzen joining his siblings June and Frank in their Capitol Hill apartment. They moved often between the family homestead in North Dakota, the Bay area, and Seattle Wa. His mid-50’s were a busy time for Jack and Johnnie. 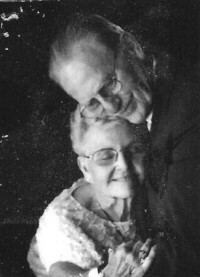 Their son Stephen was born in 1953 and daughter Oleva in 1956. The family moved into the house that he built in White Center where they lived until 2015 – 60 years. After Jack left the Coast Guard and later graduated from beauty school, he and Johnnie owned and operated The Petite Salon in downtown Seattle for the next 35 years counting as clients many well-known Seattle families, touring rock bands and celebrities. Jack also served as the president of the Seattle Hairdresser’s Association from 1974-75. They closed the salon in 1995. In retirement Jack turned his tremendous energy to landscaping and improving their home and his unquenchable curiosity to understanding how things were made – from woodworking to computers, to botany, to space exploration there was always something new to be discovered. Jack and Johnnie traveled the country in their fifth wheel until they discovered cruising and then sailed all over the globe. In 2014 he was diagnosed with bone cancer. He is preceded in death by his parents and siblings. He is survived by his wife Johnnie of Des Moines, son Stephen (Betty) Lauritzen of Carson City NV, daughter Oleva (Mike) Laverty of Redondo, niece Lezlee (Bob) Nelson of Bellevue, 11 grandchildren, 19 great-grandchildren and 3 great-great grandchildren. The family will hold a private celebration of Jack’s life. A public memorial will not be held at his request Private memorials may be made to Seattle Children’s Hospital. Lotsa fond memories of family times together. To this day I have a love of hobbies, particularly of landscaping and gardening, which I attribute to Jack. His woodworking skill were 2nd to none. Jack was instrumental in getting me a job shortly out of junior college at the funnest job I ever had at the Plant Lady Shop in Greenwood District, Joyce Stubert was a joy to work with. Jack had no formal education but what he lacked in schooling he made up for with curiosity. He read, mispronouncing words as went along, but undaunted he'd read away to me about everything from the newest in inventions to some interesting article he'd found in a magazine. As my brother noted: Woodworking skills - second to none. I used to help when he made new cabinets for the shop and I have a great memory of building and sailing a pram we worked on in his garage. Jack never took on a task without first learning about it and then seeking to master it. As a teenager, I spent a good deal of time with Jack and Johnnie. I took a number of valuable lessons from them but the one that serves me well is that Jack said, "There's nothing to be gained by doing a job poorly. Do it well or don't do it. " He did that his whole life. And through it all was Johnnie, whom I am certain he loved to the very depth of his soul. I am saddened by his death but my life is richer because of his life and by my relationship with them and their children, Oleva and Stephen. Rest in Peace Jack. Johnnie, so sorry to hear of the loss of your husband. Some of you classmates from Borger High School have been searching for you for quite some time. If you read this messatge would please email David Cullen at afmok@sbcglobal.net or myself Cleo McGraw Morrison at cleomm@sbcglobal.net. We would like very much to visit with you.